TracePro is award-winning opto-mechanical software for the design, analysis and optimization of optical and illumination systems. 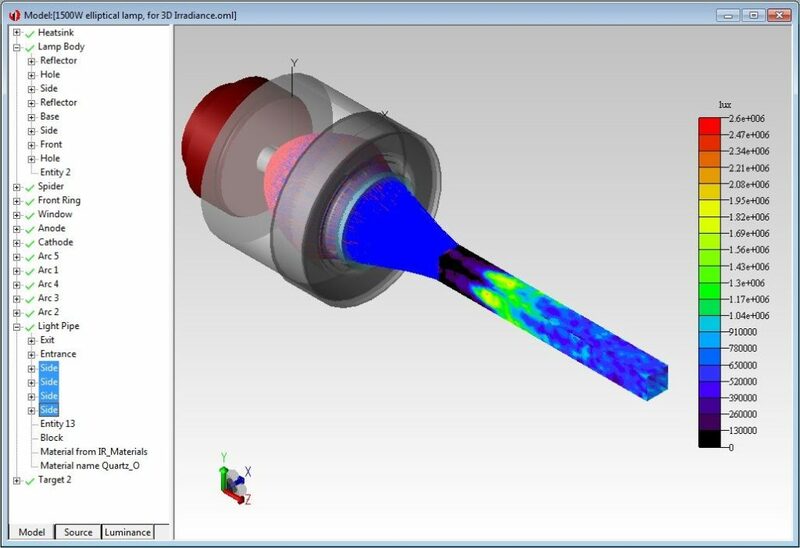 TracePro® is a powerful illumination and non-imaging optical design & analysis tool. TracePro® combines Monte Carlo ray tracing, analysis, CAD import/export, and optimization methods with a complete and robust macro language to solve a wide variety of new problems in illumination design. TracePro simulates and optimizes light pipes, light guides, and non-imaging lenses and mirrors. With its full set of features, designers can simulate surface effects including absorption, specular reflection and transmission, and scattering. Users find that they can utilize virtual prototyping to successfully avoid intermediate steps and reduce manufacturing costs. 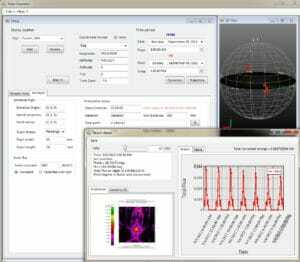 TracePro is also a powerful tool for the analysis of multiple aspects of imaging systems, including stray light and polarization effects. Bulk properties including absorption, scattering, and fluorescence enable the design and analysis of devices for a wide variety of applications. Users are able to build and test prototypes, avoiding the cost and time to build and test a series of physical prototypes. TracePro provides an integrated software environment that helps you complete almost any task in contemporary illumination design. More than a ray tracing program, it also provides advanced tools for designing medical devices, illumination, display backlights, light pipes, automotive lighting, and many other applications. Why is TracePro the Technology Leader? TracePro was the first Monte Carlo ray tracing software with an intuitive, easy-to-use interface. Based on a solid modeling engine, TracePro’s precise CAD import/export and lens import capabilities save hours of work building accurate models for simulation of real-world components. 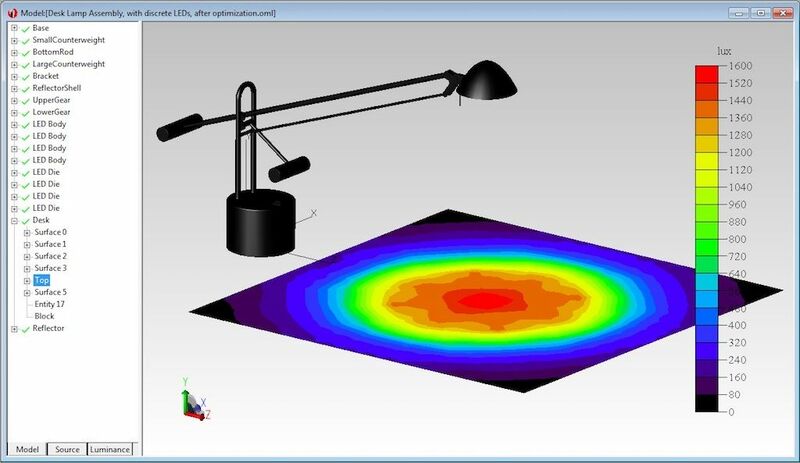 The 3D interactive optimizer helps to solve illumination problems in a fraction of the time as manual methods, by utilizing virtual prototyping and simulation. TracePro is available in three editions: LC, Standard and Expert. Each edition is a full-featured program that can help you design superior systems. The feature set in each edition is a subset of the features found in the next higher edition. Analysis & Reports. Many analysis features and reports are available to help you accomplish your design goals. CAD Integration. Our RayViz plug-in for SOLIDWORKS offers ray display and export of TracePro files ready for analysis. Edition Comparison Chart. See which edition meets your design needs. Optimization. Interactive optimizers let you sketch a profile and extrude or revolve to create a starting design. Performance and Accuracy. TracePro is renowned for its accuracy and speed. Predefined Models. Choose from popular component manufacturer catalogs. Property Generators. Make custom optical properties with interactive tools. Sources and Source Catalogs. Many source models and ray files are available. Examples. Example models to help get you started. Literature. See how other TracePro users have accomplished their design and analysis goals. User Interface. TracePro’s famously easy-to-use, intuitive interface means a short learning curve and no re-training. For detailed pricing information, click here. Light pipes or light guides are commonly used in consumer electronics, avionics, instrument panels, switches, indicators, and display devices. 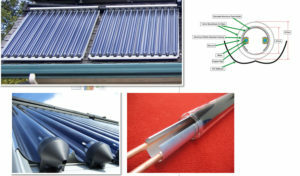 Light pipes are clear plastic devices molded as a single piece, and are used to guide light to where it is needed. Gentle curves are used to steer light by Total Internal Reflection (TIR) combined with beveled corners that serve as mirrors. Hollow light tubes are also used in daylighting applications for buildings, tunnels, and other structures. The 3D virtual prototyping environment enables designers to accurately analyze and visualize light pipes before manufacture. This capability greatly reduces development time and allows designers to create better products in less time. The Photorealistic Rendering and Luminance Map accurately predict how the light pipe looks to the eye. TracePro offers lighting designers the most accurate and comprehensive design environment available. Lighting system design requires strict adherence to performance criteria, including spatial and angular light distribution, uniformity, intensity, and spectral characteristics, along with aesthetic factors such as lit and unlit appearance. The result is a cost-effective design that is ready for manufacture. 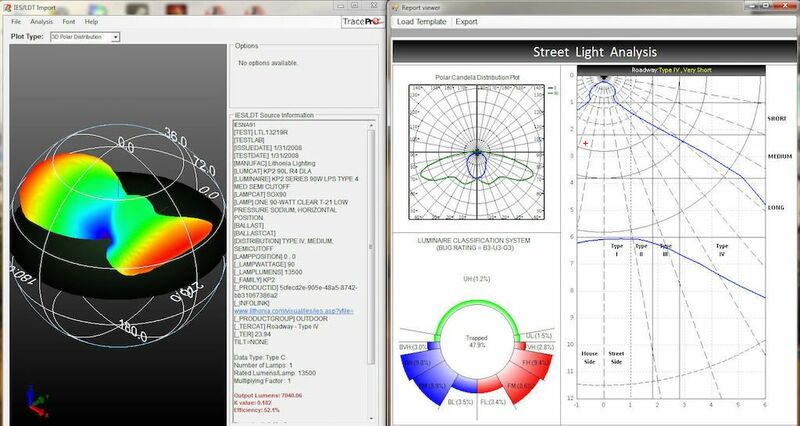 TracePro is a comprehensive, versatile software tool for modeling the propagation of light. Models are created by importing from a CAD program or by directly creating the solid geometry. Rays propagate through the model with portions of the flux of each ray allocated for absorption, specular reflection and transmission, fluorescence, and scattering. Designers of military, aviation, and homeland defense systems rely on TracePro for an accurate, state-of-the-art, comprehensive design environment. The challenging nature of these applications requires the versatility to simulate optical systems operating in the extreme ultraviolet, through the visible and infrared, and extending to far infrared and millimeter wavelengths. When designers must analyze baffles for the suppression of stray light due to scattering, diffraction, ghost images, and self emission, TracePro is an invaluable tool. Automotive designers use TracePro to integrate LEDs, HID lamps, and incandescent lighting into cars, trucks, and commercial vehicles. LED-based headlamps are now used on many vehicles. These high-power LED systems must be analyzed to verify performance. LEDs have long been used for automotive ambient lighting. They also illuminate dashboard and gauge clusters using lightpipes and light guides, which employ gentle curves to steer light by Total Internal Reflection (TIR). This is combined with beveled corners that act as mirrors, enabling designers to use fewer LEDs. Designers of Head-Up Displays (HUDs), windshield systems, collision detection systems, rearview cameras, and backup illumination systems use TracePro to analyze their designs. TracePro is used by the world’s top display manufacturers for display design. Modern display backlights must meet specifications for spatial and angular uniformity, brightness, and spectral characteristics. Quickly achieving these criteria with a manufacturable, cost-effective design requires powerful, easy-to-use, accurate software. 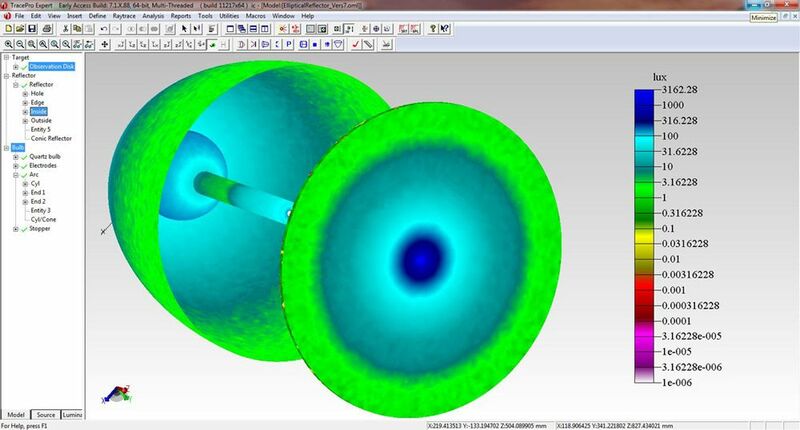 TracePro is a powerful software tool for modeling imaging and non-imaging optical devices. Models are created by importing from a CAD program or directly creating the solid geometry. Source rays propagate through the model with portions of the flux of each ray allocated for absorption, specular reflection and transmission, fluorescence, and scattering. TracePro offers life sciences and medical device designers a powerful, complete simulation tool ideally suited to their needs. TracePro facilitates the design and development process by communicating across disciplines including optics, mechanics, materials, chemistry, and biology. This is extremely important for medical instrumentation and device designers who must communicate system level specifications and design elements to both scientists and engineers. Medical system designers use TracePro to minimize the cost and time of iterative hardware prototyping and laboratory and clinical testing. Create models by directly creating the solid geometry in TracePro or by importing from a lens design program or a CAD program. Source rays propagate through the model with portions of the flux of each ray allocated for absorption, specular reflection and transmission, fluorescence, and scattering. For more information on Medical Device Design Using TracePro, view the Biomedical Brochure. Due to its generality, TracePro has been used to simulate optical systems operating at wavelengths ranging from the extreme ultraviolet, through the visible and infrared, to millimeter wavelengths. 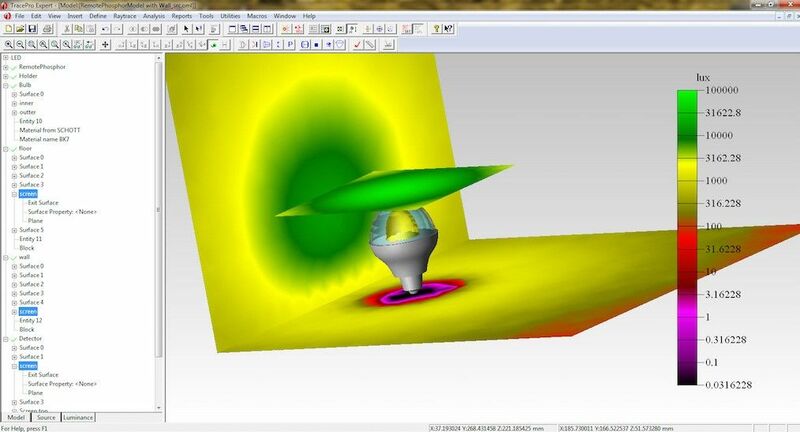 The intuitive user interface and accurate CAD file import reduce setup time needed for stray light analysis. TracePro’s Solar Emulator and optimization capabilities have helped manufacturers achieve even greater absorption and collection rates. Optimize your design to boost efficiency using collector optics, textured panels, new material layouts and pyramidal structures. The optimized design will achieve the ultimate goal of lowering the cost per watt. 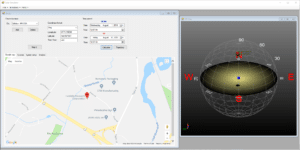 The Solar Emulator is the only tool for analyzing 3D designs and simulating performance using standardized definitions for geographical location (latitude, longitude, and elevation). Analyze your design for a specified period of sun travel with multiaxial tracking and irradiance for both direct and indirect sun contribution. Analysis output includes irradiance, candela maps, turbidity calculations, total flux, and efficiency over time. TracePro’s Solar Emulator and design, analysis, and optimization capabilities accurately predict total energy output when solar collector systems are in real-world conditions. Hundreds of research papers have been written by TracePro users detailing TracePro’s capabilities on solar collection systems.